Max Steel is for all intent purposes, a young adult action film, that as far as YA films go, isn't that bad. But do be warned, it's very basic in plot and gets right to the point on many plot points. The film does not waste any time getting into the plot, as almost immediately after being introduced to Max (Winchell), he starts evidencing curious and weird powers around his presence, while off in a mysterious lab, something breaks out of it's containment cell. The scenes pop back and forth between Max and what we come to know as Steel (Brener voice), as Max deals with his weird new attributes in weird and not so good situations. About the middle of act two, Max and Steel finally meet, and between the two of them, they both start recalling memories that they had thought lost. And it becomes apparent that Max and Steel might have a lot more in common than just a teen exhibiting weird, other-worldly powers and a sentient alien space robot that has a quirky (attempted) sense of humor. And at first, you have to do a double take because Brener sounds and acts a lot like Patton Oswalt... but it's not. Of course there are the back stories and the history of Max, as he starts to get recollections from his youth that he had previously forgotten. 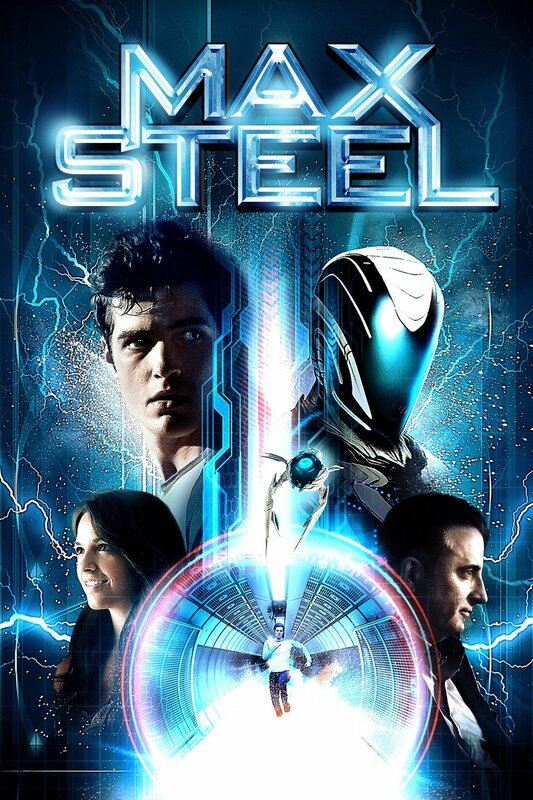 As the film moves forward everyone develops their own plot lines, including when Max becomes the titular character of Max Steel. If I were a young teen, I think this is the kind of film I'd eat up. There's just enough story and flash backs to give the film more credence that I originally anticipated. But it's short on deeply meaningful development if you're looking for something deep. This is just a fun boy meets alien meets girl fantasy film where the boy becomes the hero.